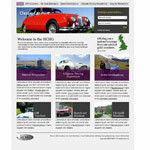 Specialising in dynamic, database driven websites for clients across the UK and Europe. We build specialised eccomerce shopping sites, content management systems and provide custom hosting solutions. Check out the portfolio - there's no time to stop and update though as lots of new exciting work is still going on behind the scenes for companies such as Unique Home Stays and many others. 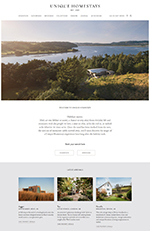 We've finally got around to creating a new design for our own website - take a look - but we're so busy with client work it could be a while before it makes it live! Our availability system allows you to display a calendar and tariff on your existing website, both designed to fit in exactly with your websites current design. For more information or a live demo please vist availability.dave-marks.co.uk.